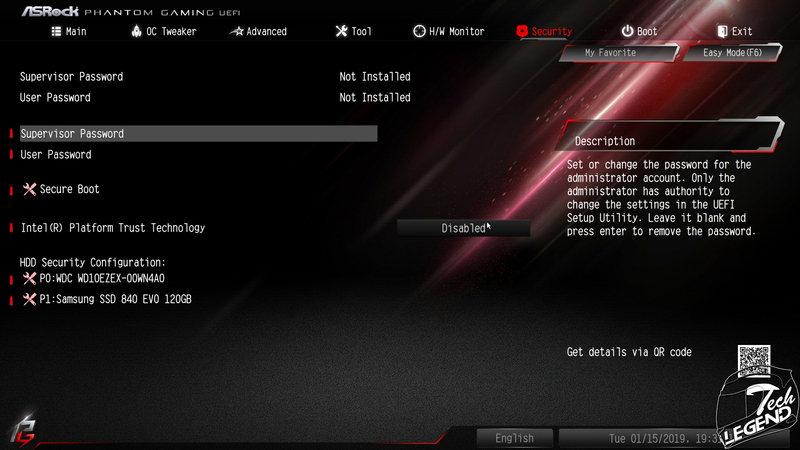 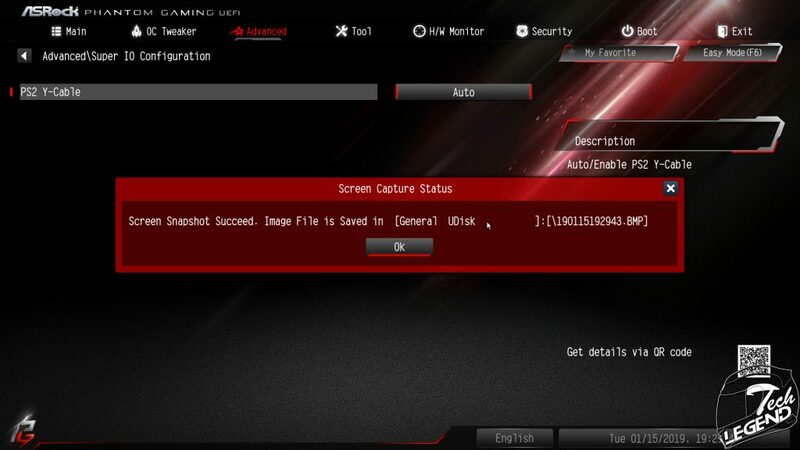 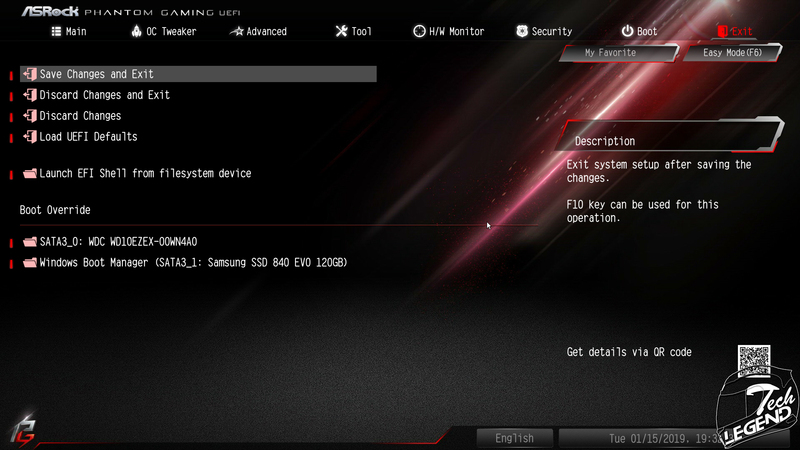 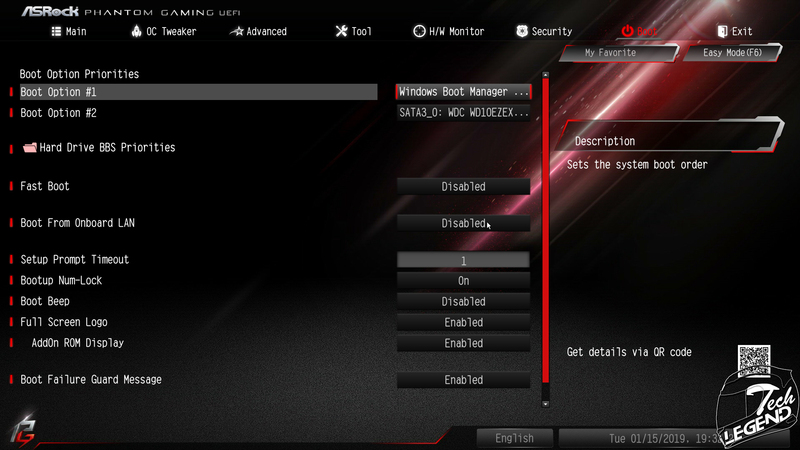 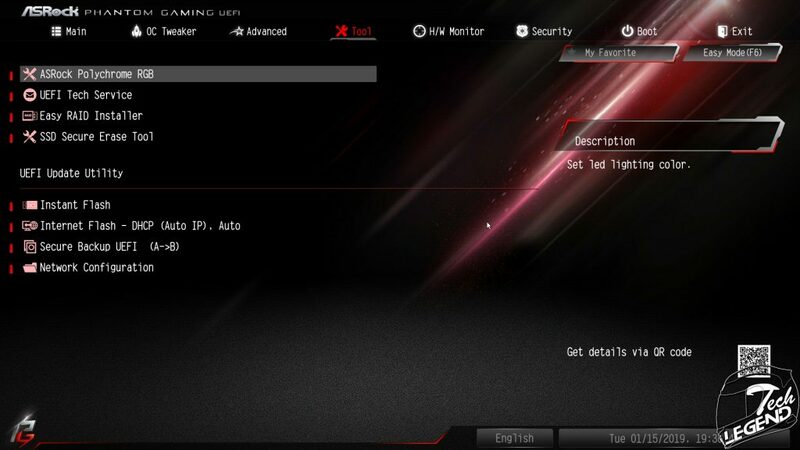 The bios features an EZ (easy mode) page as the starting page, the rest of the bios pages are available under the Advanced Mode accessible by pressing F6. 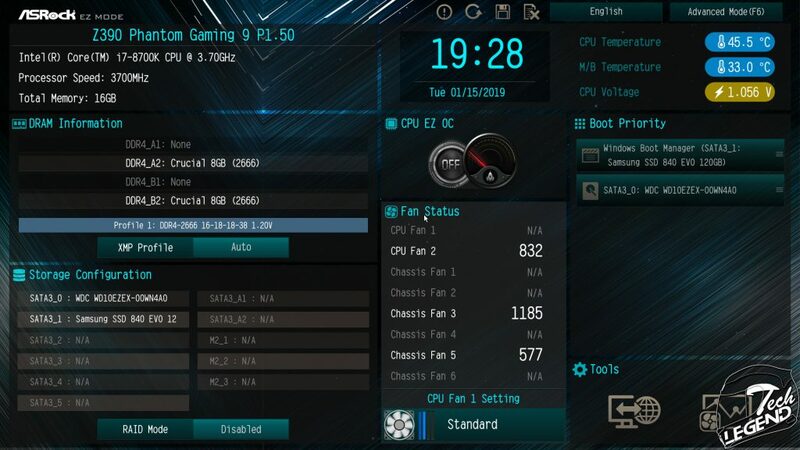 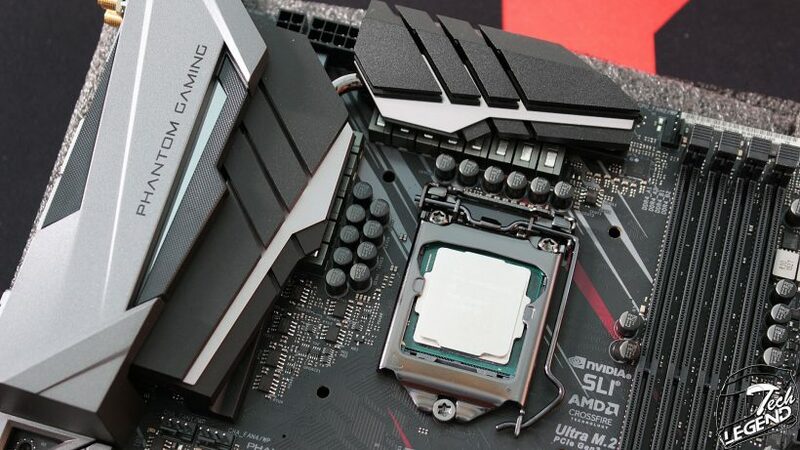 The Easy Mode offers all the important information of the system; the storage devices installed, the memory speeds and timings, as well as the fans connected to the motherboard and their speed in real time. 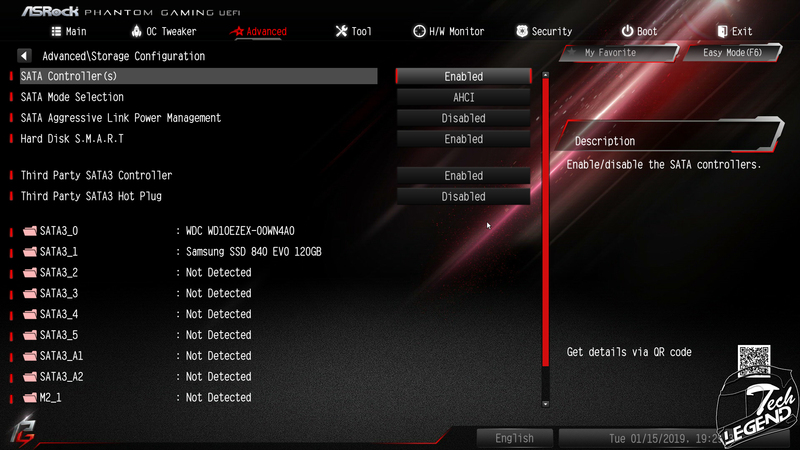 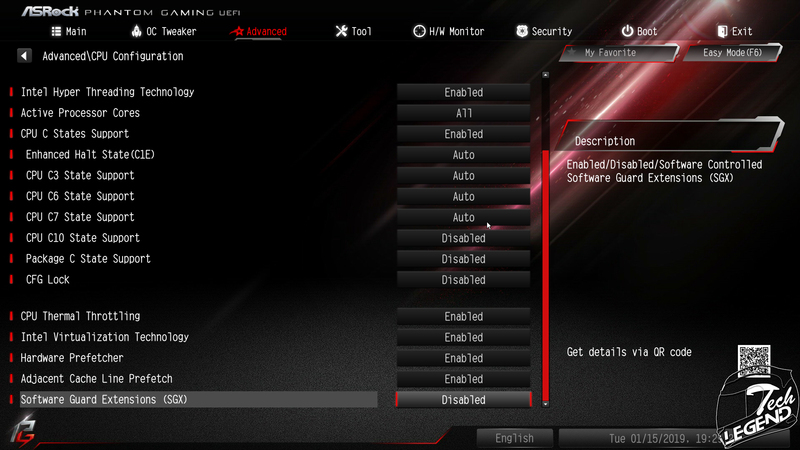 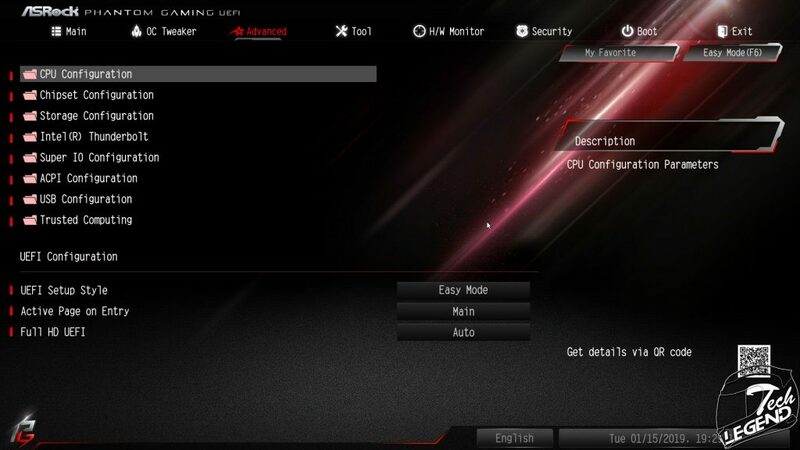 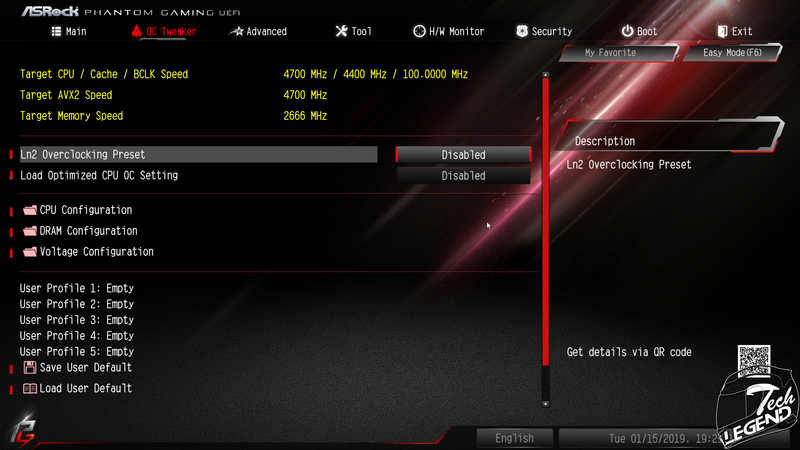 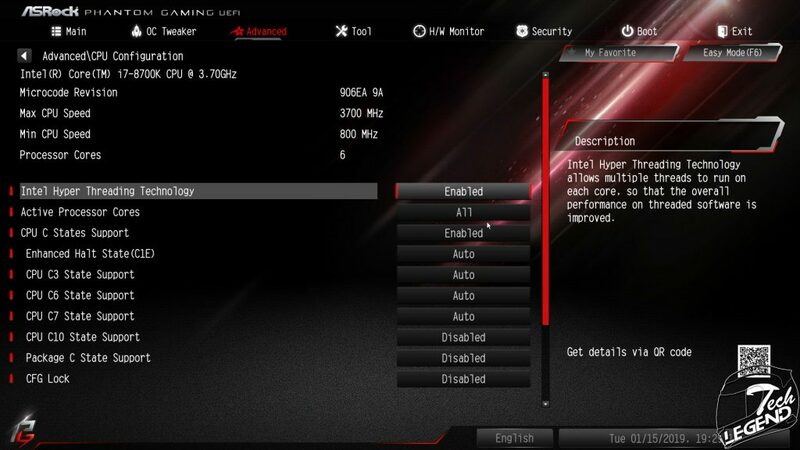 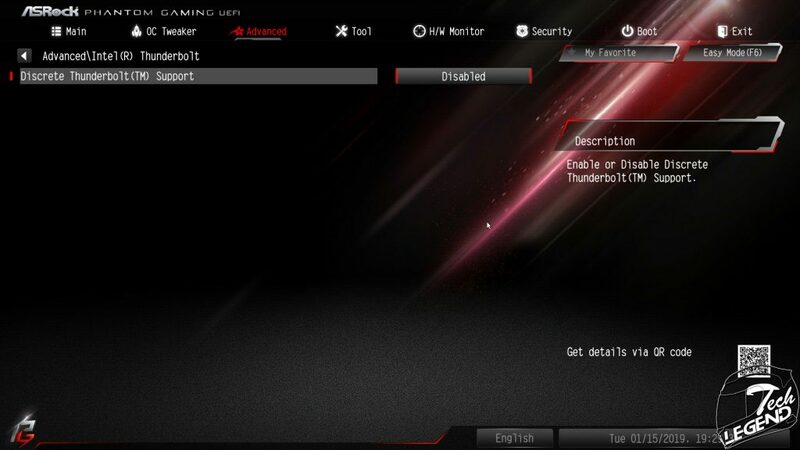 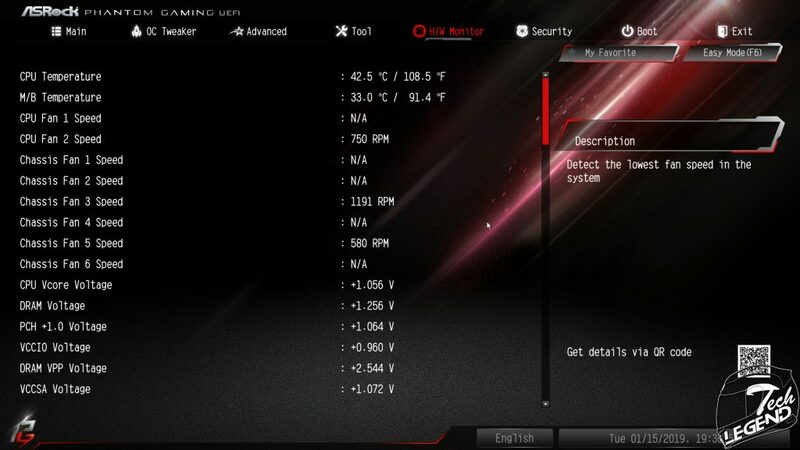 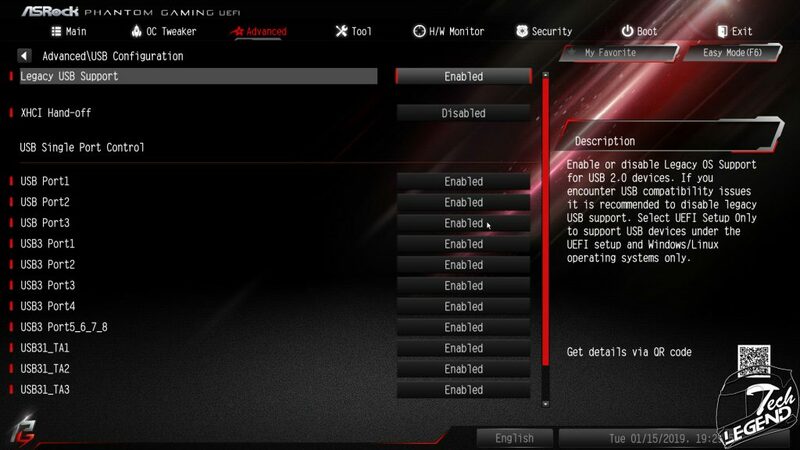 The rest of the bios is almost the same with the rest of the Phantom Gaming motherboards, it uses a black and dark red color scheme and the same physical layout all around.